Today 6 boys and 6 girls traveled to Aldworth to compete in the Under 11 Individual Table Tennis Competition. They were placed in groups along with children from; St Mary's, Kings Furlong, Great Binfields, Park View and St Bede's. The winners and runners up of each group then went onto a knock-out tournament. All the children from St John's did really well, playing some excellent table tennis. By the time the tournament had reached the semi-final stage three of the four children left in both the boys and girl's competition were from St John's. 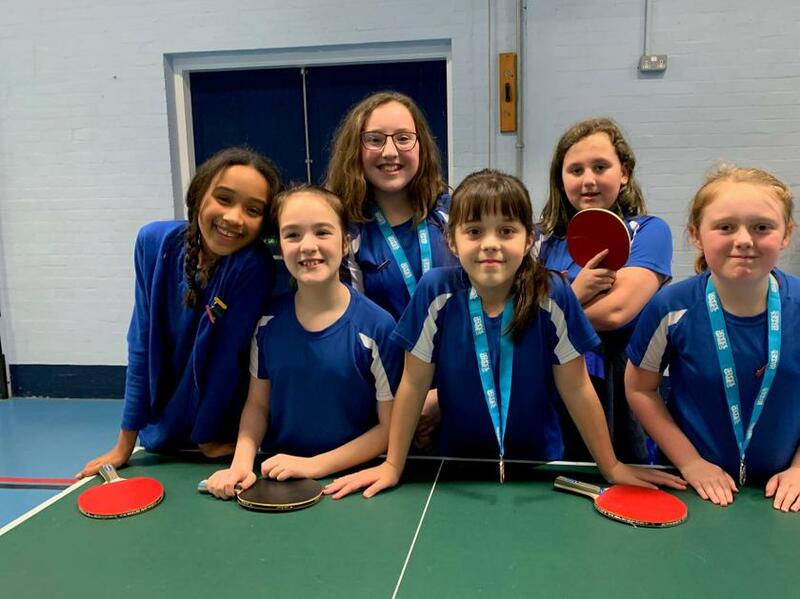 In the girls competition Ava was beaten in the semi-final and received a bronze medal and the other semi-final was an all St John's affair with Grace beating Rose, who also received bronze. Grace then went on to compete in the final where after a valiant effort was beaten and received a silver medal. She will now go on to the county finals in Hampshire in February. In the boys competition Ben was beaten in the first semi-final to also claim a bronze medal. The other semi-final was again an all St John's match with Jake beating Louis, who also received bronze. In a very close final, Jake won the first set but his opponent came back strong winning the next two and so the title. Jake won the silver medal and will also go on to the county finals. 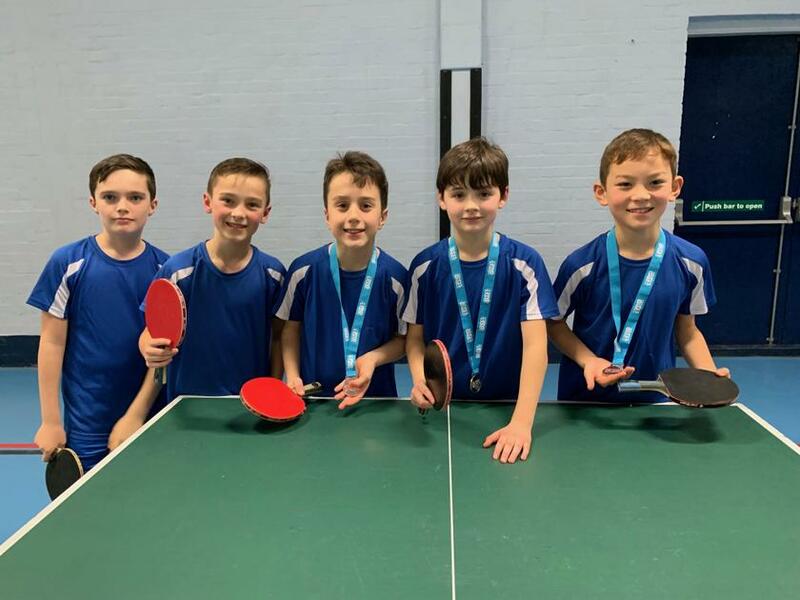 The standard of table tennis was exceptionally high and we were very proud of all our players!